I recently came back from a short holiday in a Greek island called Lefkada. I really enjoyed being with my husband, playing rummy by the fireplace, talking to God by the nightly sea and -of course- reading. 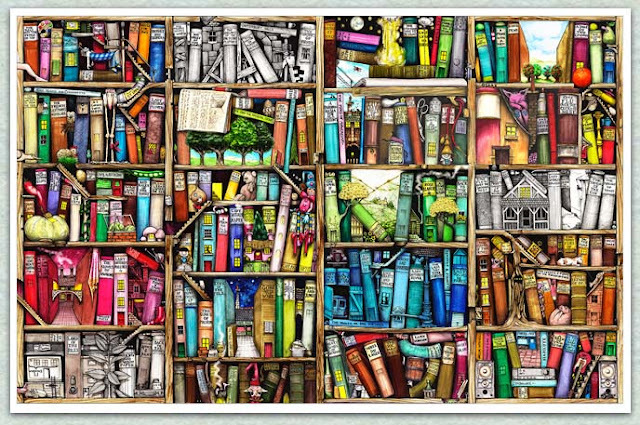 Until my next review goes up, enjoy this beautiful image I found somewhere on the web, of a bookcase full of stories. That's exactly what my bookshelves would look like if only others could look at them through my eyes. That picture is wonderful. I LOVE it! There's actually a stick puzzle with this picture as the puzzle picture.